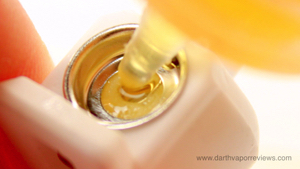 To fill the pod with e-liquid, first remove the plastic coil plug to reveal the inside. 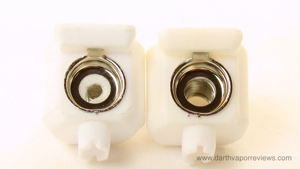 To the left is the airflow tube and the center hole is for e-liquid. 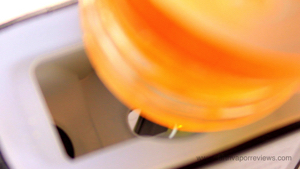 Before you fill the pod, prime your new coil by adding drops of e-liquid to both sides and let sit. Fill the pod with e-liquid being careful not to overfill past the line. Place the coil down in the top and press firmly into place. Let the pod sit for five minutes or longer to let the e-liquid completely soak into the cotton. * Large e-liquid and battery capacity. * Lightweight and pocket friendly. * Affordable price in six vibrant colors. an e-liquid instruction card, a micro USB charging cable, silicone caps for the mouthpiece and cartridge. Two coils: a 0.6 ohm for MTL (mouth to lung) and a 0.25 ohm for DL (Direct to Lung), and a Atopack Penguin cartridge with the Penguin SE 2000mAh rechargeable battery. 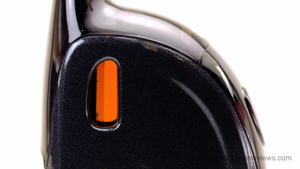 Combined together, the Penguin SE is roughly 4" in height by an inch and 2" in width. 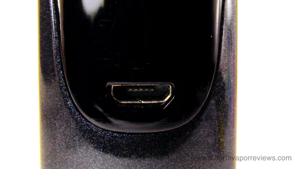 Charge the Penguin via the micro USB port located on the front. Once charged, five clicks of the power button turns it on or off. Five LED lights indicate the battery level. Use the silicone caps for the mouthpiece and spare cartridges. 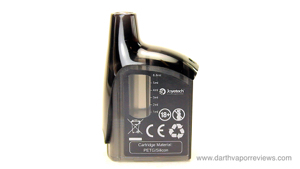 The Penguin pod style cartridges can hold up to 8.8 milliliters of e-liquid. 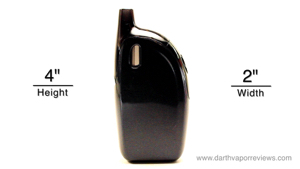 Snap the pod into the Penguin battery and you're ready to vape. The Penguin SE is a pretty cool device. It's very lightweight for its size and battery capacity with 8 milliliters of e-liquid on board. The size and curves is perfect for my hand size and very comfortable to hold. It does have a little rattle in the pod, but it's not too bad. 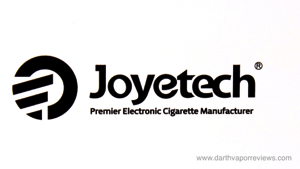 If you would like to pick up the Joyetech Atopack Penguin SE starter kit for yourself, just click on the links or the logo below. Have an excellent day and may the Vape be with you. I really like the new pod vaping systems and for the its e-liquid and battery capacity, the Penguin SE definitely goes on my favorites list. 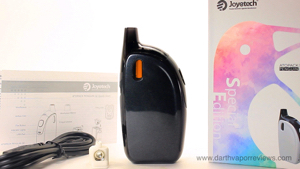 The Joyetech Atopack Penguin SE starter kit comes in six colors (Black, Grey, Purple, White, Light Blue and Pink) and currently runs about $29.99. 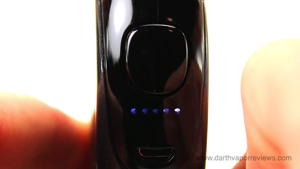 My biggest con is I found it hard to fill the pod with its deep e-liquid port and thin sides. I've only tried the Mouth To Lung coil so far and was very impressed. The Penguin can be a little airy, so depending on how much air flow you restrict with the mouthpiece, the same coil can also be used as Direct to Lung. 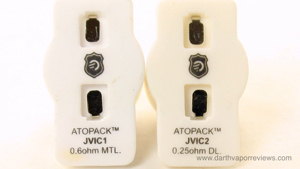 The maximum output wattage is 50 watts which provides for an excellent vaping experience. * Slight rattle from pod not fitting tightly. 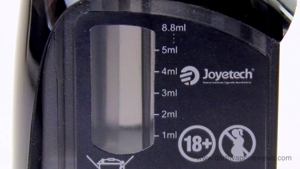 * Deep e-liquid port makes it difficult to fill. * Little bit airy for Mouth To Lung coil.